In today’s high-speed economy, everything is happening right here, right now – all at the same time. Of course, dynamic dispatch has become crucial for every field service business to offer if they plan on staying afloat. Luckily, a route planner makes that possible. A road trip planner satisfies all three critical features of real-time economy – digital, automated, and complete jobs – in real-time. You’ll no longer be forced to spend countless hours on route planning, distribution, and management. A trip planner takes care of it all, making your field operation seamless. How? Let’s detail that below. A route planner helps you plan accurate and well-optimized routes without demanding much input on your part. All you need to do is upload the list of addresses into the program and set parameters that you want the fleet management software to consider while planning routes – that’s it! Your routes will be ready with turn-by-turn directions within a minute. 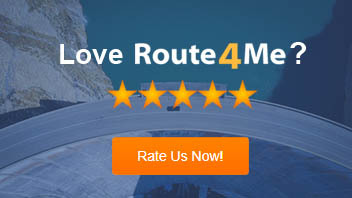 That’s not all – once your routes are mapped, the route optimization software will continue to re-optimize them in response to your input, the input of your drivers/vehicles, and feedback from your customers. This ensures your routes are as perfect as possible at all times. A scheduling app allows you to add addresses at any time after planning a route, re-balancing and modifying optimized routes. You can make structural edits to your optimizations, such as changing stops from one route to another (for multiple-route optimizations), changing the optimization type, or changing the details for a specific address without re-uploading or re-typing your destinations list. A route planner also comes with a synchronization feature that ensures any change you make in the software on your office desktop computers is automatically reflected on your driver’s smartphone screen. When your business grows, so do the challenges and difficulties associated with running it. Once you have over a dozen customers, managing that many routes gets tricky since you need to work around all of your customers’ schedules. This is where a trip planner can help. For example, Route4Me can automatically combine pre-scheduled visits, last-minute customer requests, last-minute e-commerce orders, and territory-based routing into one easy-to-use route optimization program. Specify any number of schedules, visitation frequency, etc. Example: Service calls every 4 and 7 days, manager visits once a month and regional manager checkups once a quarter. To guarantee a successful dispatch process, you need to ensure your drivers follow your instructions as advised. This is another application that can benefit from a driving route planner with GPS tracking feature. Also, whenever a driver speeds up or deviates from their routes, you’ll be able to communicate with them immediately through the trip planner’s integrated real-time chat feature in order to rectify their behavior. Route4Me captures locations from smartphones and third-party telematics systems, helping you track your drivers in real-time. When viewing your drivers’ progress on Route4Me’s mobile app, refresh times are as low as one second, so you’ll always know exactly where your drivers are. The Route4Me mobile app will be connected to your Route4Me company account, which means the travel and arrival times of your assets will be automatically reflected in your route manifest. This way, you can offer customers up-to-the-minute Dynamic Route ETAs and Dynamic Route Manifests. The best route planners also come with a telematics gateway feature, giving you access to a GPS tracker with leading telematics vendors. The delivery app will automatically send and synchronize your routes with every connected vendor in your account. Plus, the system will automatically analyze and archive all the GPS data received from your connected account. The best routing programs help customers track the delivery status of their orders. For example, Route4Me comes with a dedicated customer portal that allows customers to log in using a tracking number or their Account ID. Once in the system, they’ll be able to monitor the status of their inbound visit. The customer portal shows them as much (or as little) information as you want to reveal to them about the visit – for example, custom fields, driver identity, estimated arrival times, and much more. This is a great way to reduce failed deliveries; when a customer knows where their order is, they’ll be able to ensure that there will be someone at the home to receive it. A customer portal also saves you time on low-value activities, such as customer service, track-and-trace, and keeping customers up-to-date with the status of their inbound visits. So, have you ever explored a route planner? 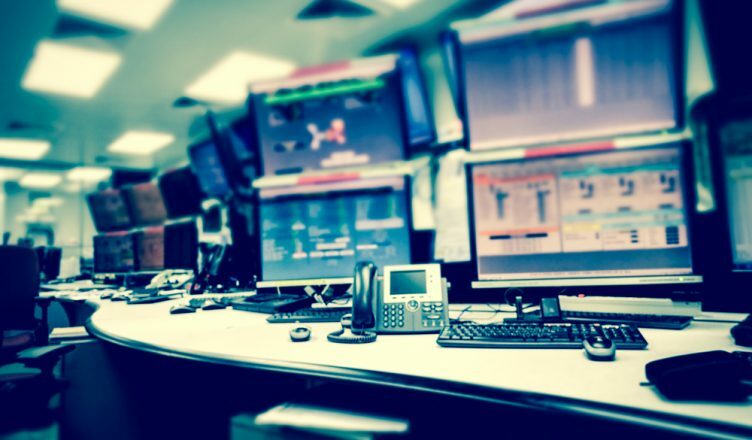 What else do you think it takes to have a solid dispatch process in this real-time economy? Do you have any questions? Please feel free to share below. Also, here are three quick questions to recap on what you need from your dispatch process, especially in the real-time economy. How does a GPS telematics app help you ensure your drivers follow instructions? How can a route planner help you reduce failed deliveries? How can a road trip planner help ensure your drivers visit certain customers on a specified day of the week or month only?